Mahindra Mahindra - Military Appreciation Program Promotion Details | Available at Mountain Motor Sports Inc. 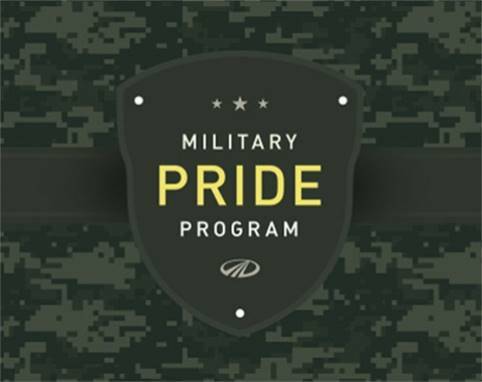 Active and retired military personnel receive a $100.00 rebate with the purchase of a new Mahindra Tractor with two qualifying implements, or UTV. This offer is available to ALL active duty U.S. and Canadian Military, Retired Military with retired Military Status, active National Guard Reservists and Disabled Veterans of all U.S. Military branches including U.S. Coast Guard. We appreciate our men and women in uniform. Offer in U.S. Dollars. This offer is available to ALL active duty U.S. and Canadian Military, Retired Military with retired Military Status, active National Guard Reservists and Disabled Veterans of all U.S. Military branches including U.S. Coast Guard. Proof–of–Purchase invoice must clearly indicate the purchase date, dealer name, address, model and description of the new Mahindra tractor and implements or new Mahindra UTV and retail price of each.